Before there was Photoshop, there was airbrush! I remember spending many hour learning to airbrush, until I discovered Photoshop. It was amazing what you could do with it compared to a traditional brush and it added an “undo” button! 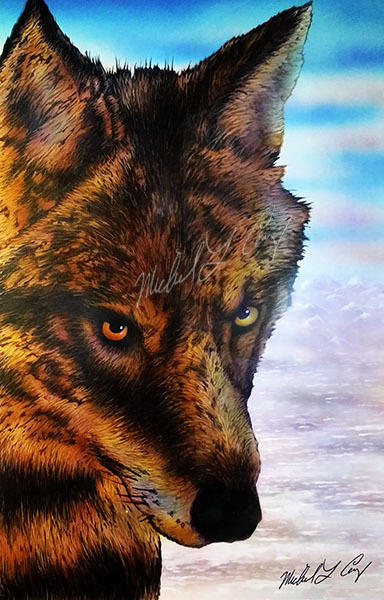 This wolf painting is an original work I created in airbrush and fine sable brushes for a commission for a friend in 1990. Sorry about the transparent white signature over the wolf, just trying to slow down art “borrowing” of my work online. Hope you like it! Where are the basic business practices?